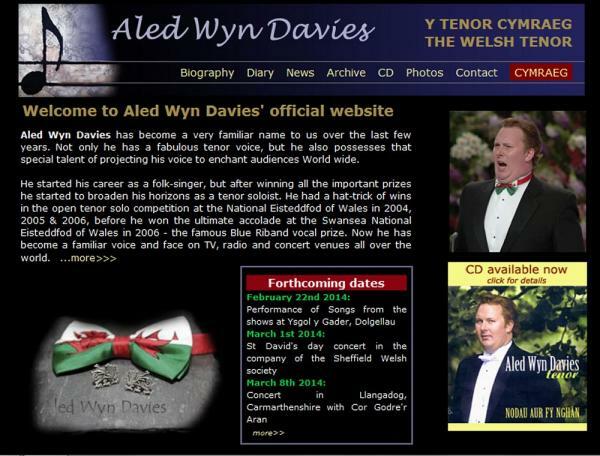 Website to promote Aled as one of Wales' foremost singers, with a growing reputation at home and around the world. 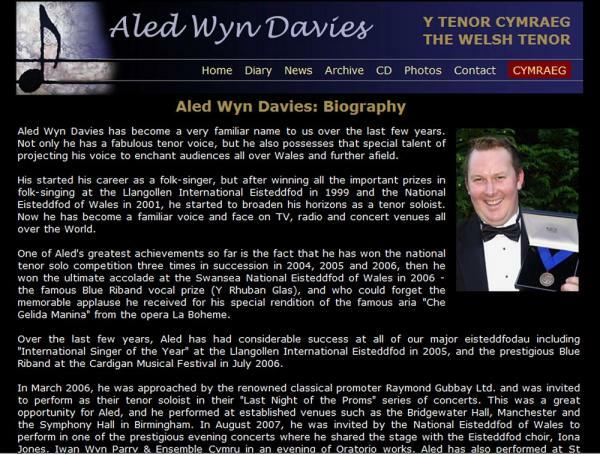 He has won numerous competitions, culminating in the Blue Riband at the National Eisteddfod 2006. 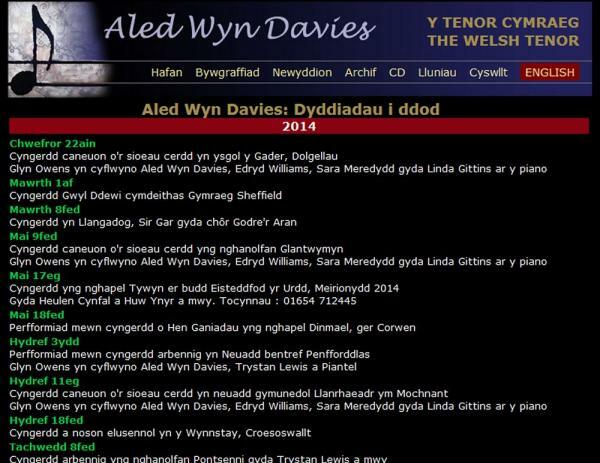 With the growth in his popularity he needed a site to publicise his engagements and also allow on-line sales of his first CD - Nodau Aur Fy Nghân. 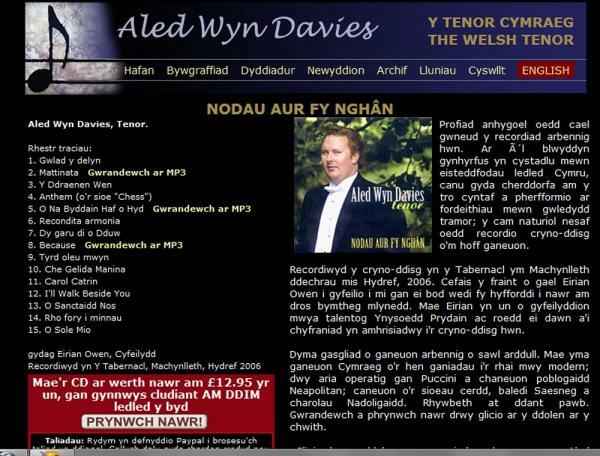 The site includes MP3 samples from several of the songs on the CD. 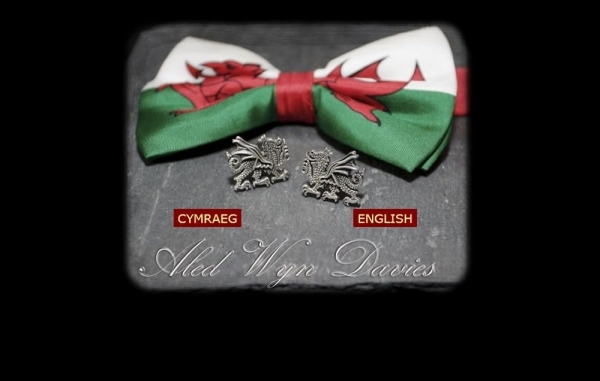 The site is fully bilingual, and includes a news and events database. 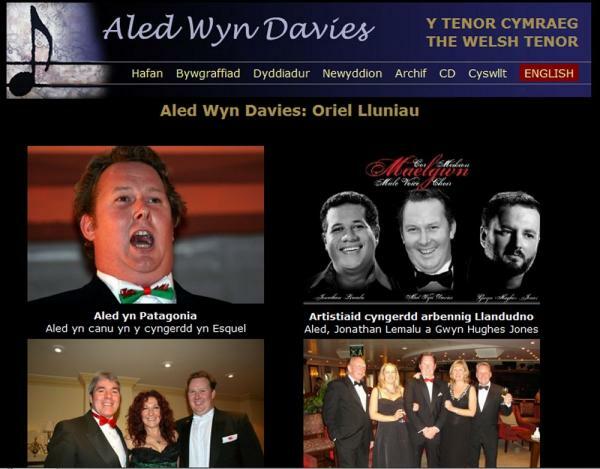 Technical features: The site was developed with PHP and MySQL databases to provide the full content management tools that allow Aled to manage all his own site content. E-commerce uses Paypal.